iOSnoops is constantly on the lookout for great deals, and here are 48 iPhone and iPad apps that have just been discounted. 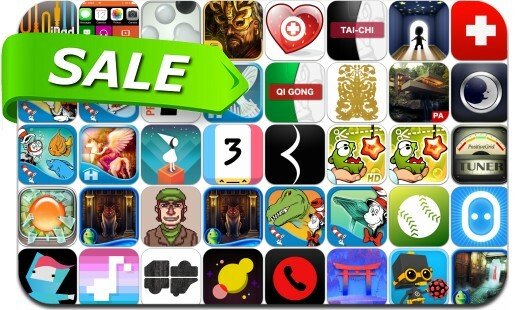 This app deal alert includes Threes!, Monument Valley, Blek, Cut The Rope Experiments, Lost Toys, Quell Memento, Blast-A-Way, Percepto, Kiwanuka, Ultimate Food Value Diary Plus, Shiver: Poltergeist, AccuTune, Eliss Infinity, Tengami and many others. Status: || Developer: Bulkypix || Version: 1.2.